The first full day of autumn certainly feels like it. A chilly morning with lows in the 30s and 40s will yield to a mild afternoon with temperatures in the 60s to near 70. 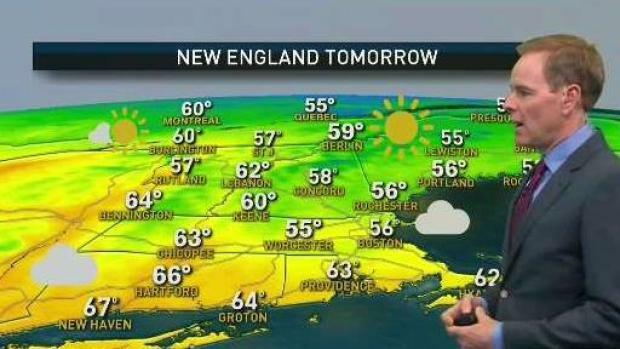 Clouds will linger over the South Coast this afternoon while Northern New England goes from sunshine to some clouds as a cold front drops south from Canada with a slight chance for a sprinkle or two. This second cold front, will re-enforce the cool air over the region, allowing temperatures to drop overnight in the 30s and 40s -- especially north of the Pike with highs on Monday struggling to make it to 60 with a stiff east wind. Milder air returns on Tuesday as a front approaches it will increase the chance for widespread showers and on Wednesday, with a humid and warm air mass in place, a thunderstorm can’t be ruled out. The warm air is short lived as cool air filters back in Thursday with highs in the upper 60s and it stays with us into the weekend. Sunday Night: Mainly cloudy. Cool. Upper 40s to low 50s. 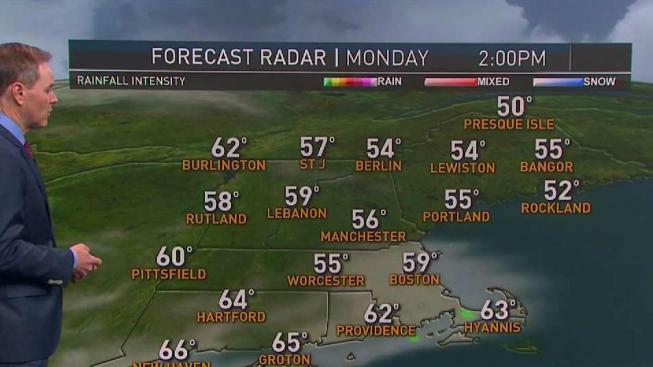 Monday: Mostly cloudy & cool. Stiff northeast breeze. Upper 50s. Tuesday: Rain develops by mid morning. Milder. Mid/upper 60s.